Who is The Gutsy RD? I am trying to escape the cult of 'super busy'. Do you ever feel like you over commit? Like you need to be in a thousand places at once? Like you need a clone? Yeah, me too. So I am working on it. When I commit to too many things, it really stresses me out which leads to my anxiety turning on in full throttle. BUT, the catch 22 is that even when I say no, I feel awful about it and my anxiety kicks in. It's tough. 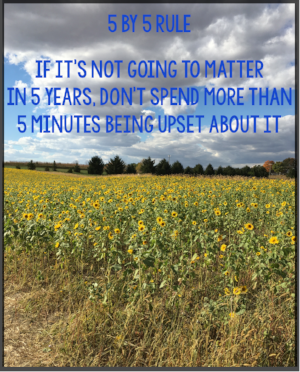 Recently I stumbled upon the 5 by 5 rule and I am trying to say yes a bit less and implement this rule a bit more. Now on to the FOOD - the reason you came to this blog. For the past two months I have been making some kind of soup or crock pot recipe on Sunday afternoon. This meal then feeds my husband and I on Monday and Wednesday night when I work late. The recipes have been super easy – like just reheat and serve. I have also been working on getting more protein in my diet. As most of you know, I am a ovo-pescatarian (meaning I eat eggs and fish but no other animal products). Making sure that I eat adequate protein is always a challenge – and honestly, I don’t want to eat seafood every single night. Luckily, this recipe is loaded with protein and fiber to keep me full. I included brown lentils in this recipe, but, you can use whichever color you’d like. This recipe also has a really rich orange-ish color from turmeric. My Golden Milk post from last year gives you all the details on why turmeric is so beneficial - so be sure to check it out. Note: If you follow the Wahl’s Protocol, be sure to soak the lentils overnight and then reduce water in the recipe to 2 cups. Add more water as needed. If you are a FODMAPer, use canned lentils and reduce the water to 1 cup. Significanlty decrease cooking time to 15 minutes.